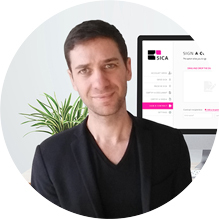 Signature Chain (SICA) aims to decentralize a mainly centralized procedure - document certification. Blockchain technology will be utilized to certify various amounts of files, videos, and many more. Signature Chain’s platform will allow users to certify documents with ease, permitting users to confirm these documents with their digital signature created by a cryptographic hash function. The use of blockchain technology will serve to eliminate any adverse factors in the certification process in conjunction with providing simplicity in the validation and certification of digital assets. 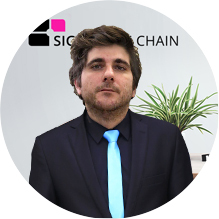 Signature Chain’s team is dedicated and experienced in Web Design, Web Development, and Patent Processing. SICA’s Community Manager and Marketer are building connections and expanding our operation while the developers are focusing on our upcoming platform. Our team is working endlessly to ensure we reach our goals. As an Experienced Marketing consultant, Kristine contributed a great deal to the marketing effectiveness of several start-up companies in South East Asia. Kristine will be playing a crucial role in product packaging and development and in the research and evaluation of new product opportunities and of potential customers, markets and partnerships for SICA. Proficient in various computer software’s and intellectual property, Abdullah is responsible for managing our social media platforms, such as Telegram, Discord, and Twitter. He will also be the bridge between our supporters and management team to transfer their requests. Abdullah is originally from Turkey but permanently resides in Geneva, Switzerland. 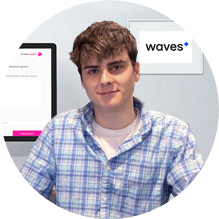 A U.S. citizen who is pursuing his bachelor’s in Engineering and Language, Dan excels in helping our team make the necessary corrections before the release of SICA’s official documents/announcements. Dan ensures the quality of a document before it is released, analyzing how it can be both effective and comprehensive.